Can hospitals cure life-saving intensive care units of their risky high-tech chaos? contribute to needless harm. But how exactly to yank them and the therapies they provide into the 21st century? Although ICUs typically combine elite caregiving talent−often hospitals’ top nurses, techs, and physicians−with arrays of formidable, cutting-edge medical technology, they do in a way that’s just a mess, McFarling writes. High-tech devices create a competing cacophony of alarms, failing to interact with each other and demanding extensive attention from humans already under great stress. 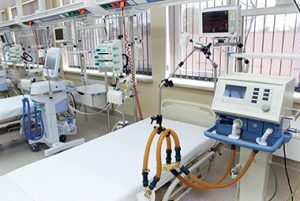 One ICU nurse describes the incessant racket alone as giving hospital staff “alarm fatigue,” in which they can shut down to the very perils about which the machines are warning. Besides devices, the patients require many complex procedures, tests, and constant checking. This intensive care can force nurses, techs, and doctors to engage in a constant, exhausting therapeutic dance, flying around a cramped space crowded with equipment, and worrying constantly about any error they might make. The processes need to be followed to the nth degree, and if they become too routine or in any way sloppy, the results can be fatal. The Stat report says hospitals like Johns Hopkins in Baltimore and others in Boston and San Francisco are pioneering ICU reform. The hospitals are developing procedure checklists, which have proved helpful and effective in assisting harried medical staff, eliminating error and malpractice events, and improving care. Although ICUs can be frenetic at times, the reformers also are trying to involve patient families and friends more, relying on the added sets of eyes to help with monitoring and the presence of close, caring kin to boost the human, compassionate aspects of care that can get lost in the tech-heavy units. The hospitals also are employing their expertise and influence with medical device makers in ways small and large. The Stat story, for example, points out that some patients need their beds to be elevated to a known degree to help their respiratory systems drain so they avoid complications like pneumonia. Nurses have been forced into a crazy work-around to ensure this occurred: some carried paper protractors to measure the correct bed angle; a simple electronic sensor, built into the bed, works better and easier. Similarly, doctors and nurses both find the amount of information collected about ICU patients to be crushing−these data points, which can run into the hundreds of thousands, prove to be both cryptic and overwhelming, especially in paper charts and now in electronic health records. New software, however, designed with medical expertise can highlight critical elements in clear, easy to read, and understand displays so harried staff see and don’t miss them. Device makers, who freely admit they also collect extensive data on patients and their products in the hopes of profiting from the information, slowly have given way to pressure from hospitals and reformers: They’re using what they know to allow much greater “inter-operability.” As the Stat story makes clear, each ICU patient taps into such significant amounts of medical technology that it’s almost as if they were sent on mini-space missions. But for patients’ sake, all their machines must talk to each other and work together−a ventilator must coordinate with devices that monitor blood gases and pressure, as well those regulating heart rate and brain activity and so on. Even at the outset, caregivers should be able to enter key, basic patient data like height, weight, and age just once and know that all the pertinent devices would have the needed information so they work optimally. The reformers, when talking about how much headway they have made, also provide an insight into the complexity of their task: They say they have identified 100 makers of key ICU medical devices. Fortunately, 60 of them have pledged to help improve ICU performance. I’ve written before and often about ICUs, and especially about all the major problems that can arise in neonatal units targeted for infants and with how the extreme measures taken in such facilities can affect patients for longer than thought periods, leaving them with deliriums and post-traumatic stress disorder. To be sure, ICUs and their staffs perform daily, life-saving miracles under great duress. But it shouldn’t take patients who have been harmed pursuing malpractice lawsuits in the civil justice system to get hospitals to step up and see that they need to improve ICUs. It’s great to see that reformers realize the big challenges they need to make these units better.